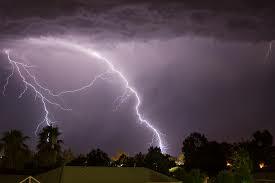 Thunderstorm phobias are extremely common, especially over the wet season. Phobias are defined as an irrational fear leading to compelling desire to avoid the source of fear. Dogs particularly are sensitive to the loud rumbles of thunder with their super sensitive hearing. However during a storm there are other changes that can also affect dogs, these include changes in the barometric pressure, strong wind, lightening strikes and the build up of static electricity. 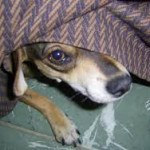 Signs of thunderstorm phobia include restlessness, shaking, clingy behaviour, whining or barking, hiding, destructiveness or escape behaviours. It is vital to never punish a thunderstorm phobic dog during a storm, as this will only exacerbate the fear. There are a number of things we can do to deal with these phobias. Different techniques may work better for some animals then others. achieve at times however being present during the storm can provide comfort and can ensure they are safe. “Comfort, don’t coddle”is a good guideline. Overprotective behaviour can coincidently reinforce behaviours. Act calm. Your dog will become more anxious if you are worried or frustrated. Desensitisation; using repeated exposure to an experience to reduce or eliminate the fear. Commercially available cds include the Sounds Scary CD and CalmAudio. This is a longer term solution and should be started and maintained over the dry season. For some dogs this may not be effective due to the other aspects of the storm that cause anxiety. Counter conditioning; this is the process of changing your dogs association of the storm from something scary, to something positive. This can be achieved by distraction at the scary time with treats, new toys, a car ride or other distraction. Modify the Environment. Close blinds and curtains, turn on the TV or radio and provide a white noise such as a fan on high speed. Provide a safe spot to hide. The bathroom, wardrobe, underneath a table or behind a couch are common hiding spots. This can act as an advantage and is a good idea to enhance a safe spot with blankets and radio or a favourite toy. Dog crates can be used but they shouldn’t be forced into one and the door should be left open. Thundershirts and Anxiety wrap. These provide constant, comforting pressure to reduce anxiety. Some dogs respond really well, others have no benefit. Natural supplements –A lot of herbal and homeopathic remedies are available to help calm and reduce anxiety. Some of them include Melatonin, Rescue Remedy, Ultra-calm. There is a long list but at least one of them should be tried. A daptil, a synthetic chemical that mimics the appeasing pheromone produced by the mother to comfort her puppies. Dogs maintain the ability to detect this as they grow older and can be very effective. Available in a spray, collar or a room diffuser. Prescription medication – Commonly viewed by vets and owners as a last resort. 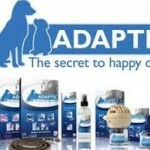 However medications can work extremely well and provide significant comfort to the pet. Medications are usually used in conjunction with other techniques and always with the advice and guidance of a veterinarian. The type of medication used will depend on the severity of the phobia, the overall health of the animal and apparent risk-benefit. Living with an anxious and thunderstorm phobic dog can be stressful and exhausting. If your dog has the potential to escape it is also important to ensure they are microchipped and wearing a collar and tag. Hopefully a combination of the above techniques can help make a more enjoyable and safe wet season.